Mumbai: BBC Earth known for their seminal show offerings like “Blue Planet”, “Frozen Planet”, “Life Story” and others have roped in illustrious dubbing artiste Surendra Bhatia after a row of auditions in India to give voice over to London-based ‘Voice of God’ Sir David Attenborough. The dubbing star winner of many laurels including the Dadasaheb Phalke Academy Award is pleased to have bagged this prestigious project adding one more feather to his crowded cap. It was a pleasantry exchange of views while meeting the acclaimed and eminent dubbing artiste Surendra Bhatia, who has completed 36-years of his fruitful profession and was dubbing for BBC Earth’s upcoming television programme “Planet”.Bhatia had the privilege of dubbing for actor Richard Attenborough for his film “Jurassic Park”. Now he is dubbing for his brother David Attenborough for “Planet”. 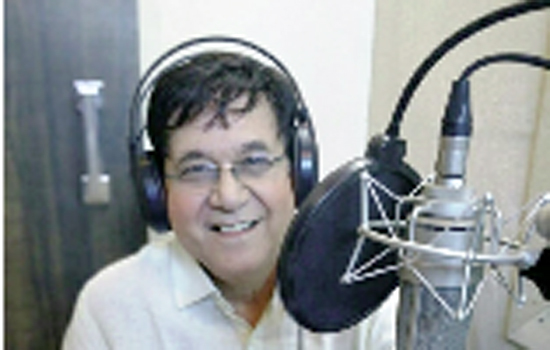 Tipping the youngsters who intend to take dubbing as their professional career, Surendra Bhatia highlights, “Dubbing artiste should be a good actor and then he should have a mesmerizing and resounding voice. When it comes to dubbing, there’s a lot of observation involved. Memorizing the dialogue is important. Even laughter differs from person to person.